For students, one of the most difficult issues in uni life has surely got to be navigating one night stand etiquette. How long do you stay? What do you say to one another after? And, god forbid, what happens if you manage to leave behind your favourite (£10 from Primark!) top? 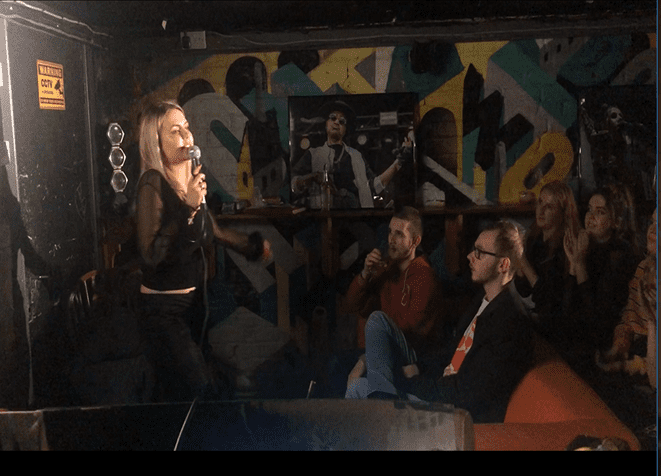 Preparing for her first solo show at the Fringe next year, Annabelle Devey debuted a brilliantly funny set at the FuseFM x ComSoc show on the 12th of November. Centering her set around a failed one night stand with a would-be famous band member, Devey managed to combine her (very) frank recount with an excellent sense of humour, playing both on the audience’s own experiences and adding her own flair for the creative. Very much to her credit, Devey is not afraid to talk about some of the more serious issues that concern students, highlighting the importance of always using protection and the importance of being able to say no if you’re not happy with what’s going on. On top of this, she managed to tap into the struggles many girls share, like losing an NYX lipstick on a night out, repeatedly telling us that despite the fact it cost £6.99, she’s definitely let it go. Definitely. However, when it comes to her £10 Primark top, she’s not about to let that go down without a fight — because who spends more than £5 in Primark? One woman’s epic quest to retrieve said top is sure to bring laughs to all present. In the basement of Solomon’s, it certainly went down a treat. Devey is certainly a very promising act, and definitely one to watch in the next few years. She’s at times rude, at times very down to earth, but her set is one that will keep you laughing the whole way through.